The new Sid Hille Quintet SH5 continues where Sid’s Platypus Ensemble left it off in 2010. The Platypus Ensemble was a highly acclaimed jazz quartet that operated during 1998-2010, having released five CD’s and having performed on concert tours in Finland, Sweden, Germany, Holland, Belgium, France and Switzerland. 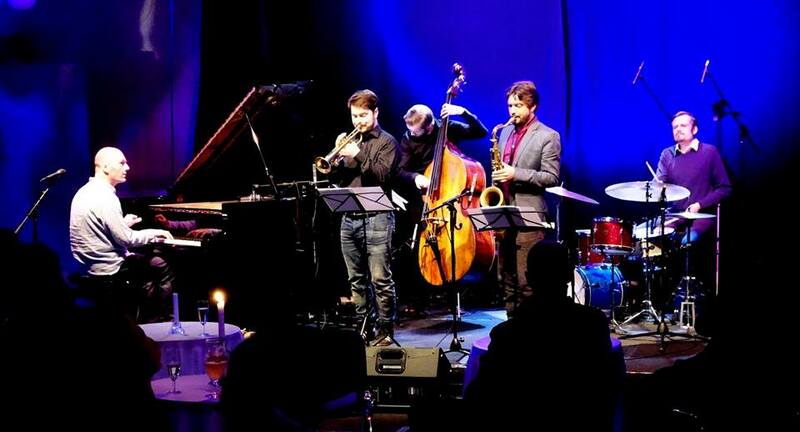 The musicians of the SH5 hardly need introducing as they are some of the most respected jazz musicians in Finland, all of them performing with bands of their own and appearing on hundreds of recordings. Yet, the SH5 is more than the (already quite considerable) sum of its parts. Sid Hille’s compositions bring out the best in the participating musicians, highlighting and showcasing their individual virtuosic talents, emphasizing their capability to respond to each other and to spontaneously create new viewpoints in a given piece. And then, there is the chemistry…. When you watch them play, listening to each other, enjoying unexpected turns and adding yet another layer of intensity, then you know, that this is what jazz is about: being in the NOW, present and aware, contributing to the whole at the best of one’s abilities – and having fun! For upcoming concerts and events please have a look at the Gigs page.